Anyone who has ever worked to raise funds for a charity must be feeling sick to the pit of their stomach on hearing the latest news about the Central Remedial Clinic. First we heard that the CRC’s former chief executive, Paul Kiely, couldn’t get by on a State salary of €106,900 but luckily, help was at hand in the form of a top-up from The Friends and Supporters of the CRC, a charity. In other words, the chief executive was more than doubling his salary from charitable donations given to help with the treatment of patients. Not only that, but we now learn that five other senior staff are receiving similar top-ups from the charity fund. And we discover that, while the clinic is cutting back services to disabled children, the Friends and Supporters account contains €14 million. Kiely, by the way, is a close associate of Bertie Ahern and prominent member of the Fianna Fáil Drumcondra Mafia, and remains on the board of the CRC. I almost want to throw up, as anyone would who ever worked to raise money for a charity. Many people will now be asking if all the time and effort they put into fundraising really went to help anyone apart from the senior staff of a charity by fattening their already well-upholstered salaries. The sheer effrontery of it is staggering. The unmitigated brass neck of such people leaves the rest of us gaping in astonishment. Unfortunately, volunteer fundraisers are now going to ask themselves very hard questions and the consequence is that charities will suffer, thanks to the barefaced greed of the people at the top of the Central Remedial Clinic. Oh, and by the way, guess who sits on the board of the Friends and Supporters of the Remedial Clinic. That’s right. None other than Paul Kiely himself. How about that? Much wants more, as people used to say in the old days. I don’t know if any of this is illegal, but it seems fair to ask the following: would a reasonable person have expected his donations to end up in the pocket of the CEO? Elsewhere: this excellent article by Brendan O’Connor in the Independent accurately details the difference between the case of Paul Kiely and that of Rhona Mahony. What sort of medical qualifications has he that he became the CEO of Central Remedial Clinic. Do you know if he still getting paid as a member of the board? Typical…. 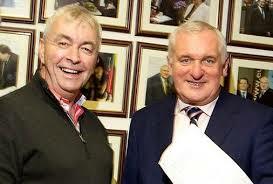 Anything any way remotely associated with Bertie Ahern couldn’t be anything other than rotten to the core. The usual sense of entitlement from these wankers at the top of the food chain. It makes me want to throw up my dinner the thoughts that even a solitary cent that I may have put into a charity box over the years could have ended up in this pricks bank account or anyone like him. Thieving cunts. 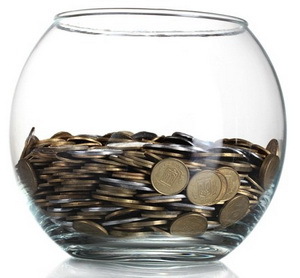 How could you, in good conscience take money from a charity to have your already bloated salary topped up? That’d be peoples’ hard earned money they’ve donated in the belief it was to be used for sick people. You’d have more respect for beggers on the street. The end of that saying by the way is, much wants more and loses all. It is probable that he also had “expenses” covered. Could be another €500 a month, say €6,000 per annum, tax free. Such a piffling amount but if you gross it up a tidy sum. This is how it works. The rich and powerful are the wealth creators. They create the jobs and are rewarded with huge salaries. Even when they crash the economy world wide through invented bubbles and massive scams, they are rewarded and ordinary people are loaded with the debts. At the moment, millions of people are on the move escaping poverty and unemployment due to the criminal behaviour of the powerful. The US model is being imposed on the world, where safety nets are being dismantled, the environment is being thrashed and millions have to compete for slave wages. The good jobs have disappeared to China, Vietnam, India, Pakistan and Mexico. The wonders of the free market. No one has been held to account in Ireland for the scam that was the ‘Celtic Tiger’ No wonder the managers at the Remedial Clinic feel they can get away with dipping into charitable funds to top up their salaries. Disgusted and sickened. Think its only the tip of the iceberg. They dont seem to have any morals. Surrounded by greed and corruption. I am the mother of a disabled son, and I can tell you very very very little of any money raised in any charity that is associated with the disabled ever gets to the intended recipients. Whether its Rehab headed up by 420000 per year Angela kearns, or this shower of bottom feeders, the money never ever goes to the disabled. I would rather throw my money down a drain rather than give to a disabled charity in this country because i KNOW my kiddo will not see a penny of it. I predict that the next rip off will be revealed will be Special Olympics. My son is entered in a number of events and every week, I am coughing up money for something or other. It is nothing more than a scam. But what else can I do? He loves it, and believes he will make it. Even though he actually has no real chance of ‘winning’, because they allow so many to ‘qualify’ because each qualified athlete means muchos moolah for their coffers. IN the end the people that get to go and compete have had their names picked out of a hat. I will be in Limerick with him for 3 days next year, at the National Heats. Cost for his attendance is 420 euro. Then I have to pay for my hotel etc on top. The 3 days cost on average a grand per family. Oh and thanks to the scumbag hoteliers in Limerick who increase their hotel rates for these 3 days. When some fool squawks at me how charitable the Irish are (Live Aid etc etc), I can only laugh, because punching them in the face for their stupidity would get me arrested. But not to worry, core rates of benefit have been maintained, even though his disability service has been stripped to the bone. Co-incidentally, his service is also headed up by a formerly private sector accountant. They aint stupid these people, whatever else they are, they are not stupid. Mary Davis, head of Special Olympics: salary 150000, along with her multiple directorships. According to the CRO records, one individual has been a director of Bóthar for 111 years. With a pension of 47 grand a year. Little wonder the 500 dollar suits. It is a fact that 95 cent in every Euro donated to charity goes directly towards the cost of running that charity. But the senior people there are the very ones who determine those ‘costs’, decide their own salary rates and pass all expense accounts. So just like Ireland Inc, when you hear we are spending more than we take in, the problem is the ‘spending’ part and that is determined by the politicians themselves who are telling you all this nonsense in the first place. Well said Mr Mallon, you ae absolutely right. These people know how to load a dice!